A group of 75 University of Wisconsin–Madison students will be in the field May 21-26 to learn firsthand about the diversity of the state’s health care system. As a part of the Wisconsin Express program, which is organized by the Wisconsin Area Health Education Centers, the students will travel to 11 communities across Wisconsin, learning about public health dilemmas in the state, Wisconsin Express statewide program coordinator Keri Robbins said. 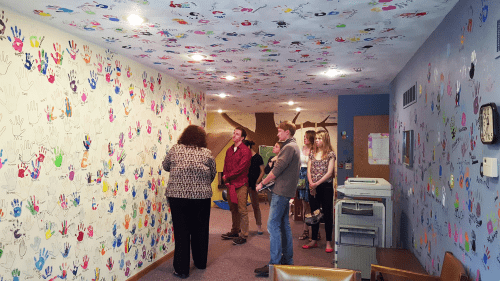 Students visit clinics, shadow health care professionals and participate in activities that help them learn about diverse Wisconsin communities such as Native American tribes, Somali refugees, Amish populations, and more. The students come from a variety of health professions programs, from physical therapy to pharmacy to nursing. 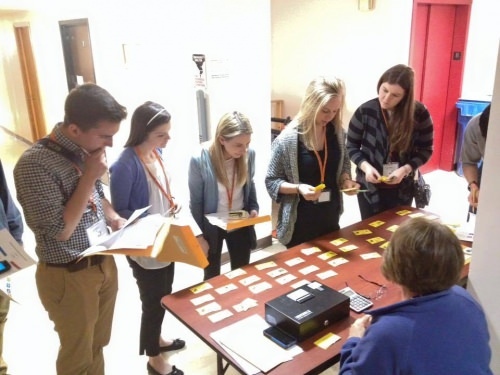 Past participants of the Wisconsin Express program said their experience gave them a greater understanding of how Wisconsin’s health care system works, especially in underserved areas or communities with unique cultures. Rural areas in Wisconsin are some of the places that have the most difficulties in terms of health care, said McKenzie Borkovec, UW junior who went to the Ladysmith site in Rusk and Barron counties in northwestern Wisconsin. One of the things that surprised Borkovec most was the lack of access to care in rural areas. When low-income families live in remote areas, finding transportation to a clinic or hospital can be nearly impossible, Borkovec said. Some residents are so far away from hospitals or clinics, it can take 45 minutes for an ambulance to get to them, Borkovec added. To understand what it’s like to face some of these challenges, Gaal said students in the program participated in a poverty simulation. They were given a pretend identity, fake money and problems about daily life to solve. Gaal said it was “eye opening” to see that some Wisconsinites would barely have time and money to go to the grocery store after work, let alone to the doctor’s office. Danielle Hurst, a UW senior and pre-med student, went to Fennimore in southwest Wisconsin as a part of the program. Hurst said there was a shortage of health care professionals to serve the rural communities that she visited, including the Amish community, Hispanic populations and in the local prison. Gaal, who was on the same trip as Hurst, said the clinics in the Fennimore area had “ridiculous” waiting times and a severe shortage of psychiatrists. There were four counties that shared one psychiatrist, he added. “Especially in rural and certain urban areas and then within the prison system as well, there just aren’t enough doctors; there aren’t enough nurses,” Gaal said. UW Senior Valerie Burnett, who went to the Menominee Reservation in northeast Wisconsin, said taking part in the Wisconsin Express program made her interested in going into rural health care, something she was uninterested in before. She said if she worked as a nurse in an underserved area she thinks she could make a bigger impact on a community and gain more personal connections with patients. In addition to gaining an understanding of medically underserved areas in Wisconsin, Hurst said she also realized that cultural differences among Wisconsinites can greatly influence their health needs. 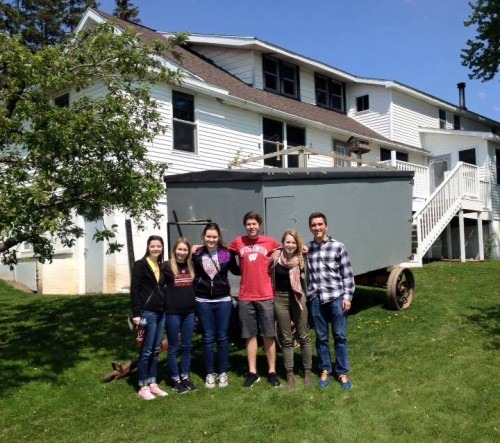 Hurst’s group spent a day on an Amish farm and talked with an Amish family about the homeopathic medications they use. Her group also learned about how emergency care in many Spanish-speaking countries is less expensive, so many people in Wisconsin Hispanic communities need help understanding how emergency appointments and insurance work in the U.S.
Burnett said understanding different cultures helps medical professionals better serve their patients. For Burnett, learning about the history of the Menominee Native American tribe helped her learn how they should be treated medically. “If you don’t have a background in that, then you really don’t completely understand the problem and you can’t treat the patients as well as you should be able to,” Burnett said. Given Wisconsinites have different ethnicities, cultures, values and socioeconomic statuses it’s important to meet people where they’re at in terms of their health care, Borkovec said. Talking to doctors: Never simple, but getting tougher: Could this help?